Durham have signed former Blackburn Rovers and Man City midfielder Nicola Worthington from the University of Bridgeport. 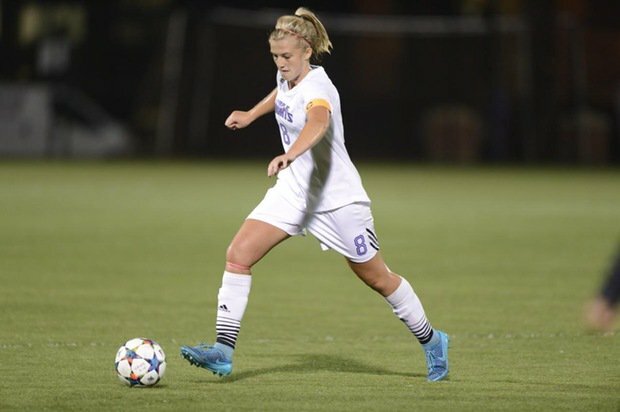 During her time with the Purple Knights, Worthington was named an NCAA Division II Women’s Soccer Second Team National Academic All-America for her excellence in the classroom and strong performance on the pitch. The 2016 season saw the midfielder contribute 15 assists and net 6 times while she was also named First Team All-Conference for the fourth straight season. Now, having completed her studies in the States, Worthington is returning to England to study for a masters degree in Education alongside playing for the Wildcats in the FA WSL and for Durham University in the BUCS League. Worthington told durham.fawsl.com: “Signing for Durham is a great feeling. They are a solid team that is continuously growing with lots of talent and strength. I can’t wait to be a part of it. Manager Lee Sanders was pleased to capture the midfielder, adding: “Nicola is a player we approached about eight months ago when she was still out in the States, so it’s pleasing when you’re able to see these things through.